A series of farewell posts to my Bay Area home and haunts. We’re heading to Seattle for a year-plus . . . on to new photographic adventures. My first morning, I strolled around the lake, shaking off six years of L.A. cement and urbanity. And there, I took my first-ever photo of a Great Egret with a point-and-shoot — before I knew enough about birds, before I knew about photographing birds. I incorrectly identified this lovely as a “stork” — and then framed her dead center with ducks, geese and partial-ducks for background. This “before” photo should give hope to anyone who thinks they can’t learn photography. Below is my visual toast to Lake Merritt, the nation’s oldest wildlife refuge, and a suitable starting line (and even a fallback position) for anyone learning to photograph birds. The refuge is protected, with the exception of the morons who’ve hobbled birds by careening through the park at 50mph. So, wicked drivers notwithstanding, the birds here aren’t impossibly skittish as they are in a hunted refuge. 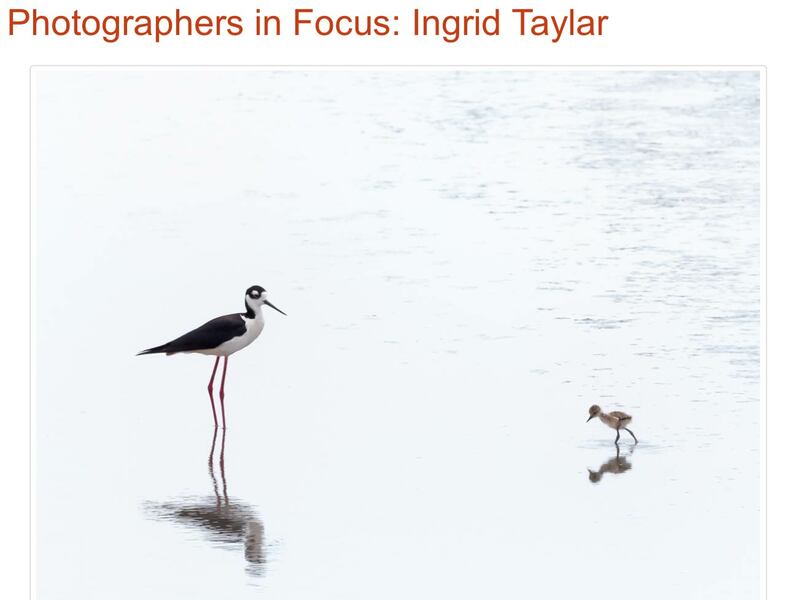 This is great for the photographer and observer — not to mention for the ducks, who huddle in rafts with their bills tucked into their backs, looking like Zisha teapots made of feathers. I captured these heron images, still bleary from my night before — at an hour when the lake population is heavily skewed toward herons over humans. This Black-crowned Night Heron found my car a suitable perch, a perfect example of Lake Merritt’s wildlife-and-the-city juxtaposition. A single beam of light (the photographer’s friend) lit this heron — framed by a tree trunk. I didn’t see the anomaly in this photo until I looked at the image on my Mac screen. This Canada Goose was adeptly swimming, taking off and landing with just one leg. Morning sheen on a still lake produces the pudding-smooth curves that frame this gull. Scaup are, by far, the most numerous ducks at Lake Merritt in the winter. I learned quickly that a dawn arrival meant waiting a few hours for the ducks to arise and eat breakfast. Ducks at Lake Merritt sleep in. What can I say about my pigeon people? They are dear to my heart, the domestic pij and the wild among us. This was another photo that revealed a surprise when magnified on my computer screen — good fortune for the fish. I met a woman once at Lake Merritt who, like me, volunteered at a wildlife rehab center. She kept tabs on the disabled squirrels around the lake who managed to thrive in the wilds of Oakland. They do get a bit of human help. For a long time after the Cosco Busan oil spill, my heart would stop when I’d see a grebe break the water’s surface with its back slick from the dive. It took a minute for my mind to register that the grebe wasn’t oiled. The floats on the lake are a popular drying and preening spot for Double-crested Cormorants. Thank god for DSLRs and capturing the split-second symmetry in these fast dives. As often as I see herons and egrets perched in trees, I’m still enamored with the dramatic color and shape contrasts. Canvasbacks, along with Scaup and Ruddy Ducks, are part of the huge raft that makes Lake Merritt home for the winter. Mottled blue and grey was the texture of the water the day I shot this Western Grebe, with sky reflected in the smooth divots. I brought the contrast up a bit on this image. Ending up where my photographic endeavors began . . . with a Great Egret . . . framed and focused a bit better for the experience and the gear.